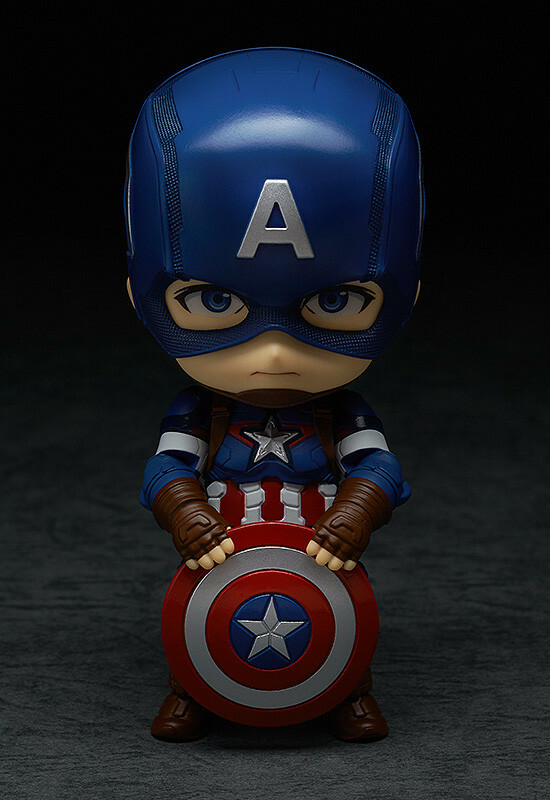 The next of the Avengers to join the Nendoroids - Captain America! 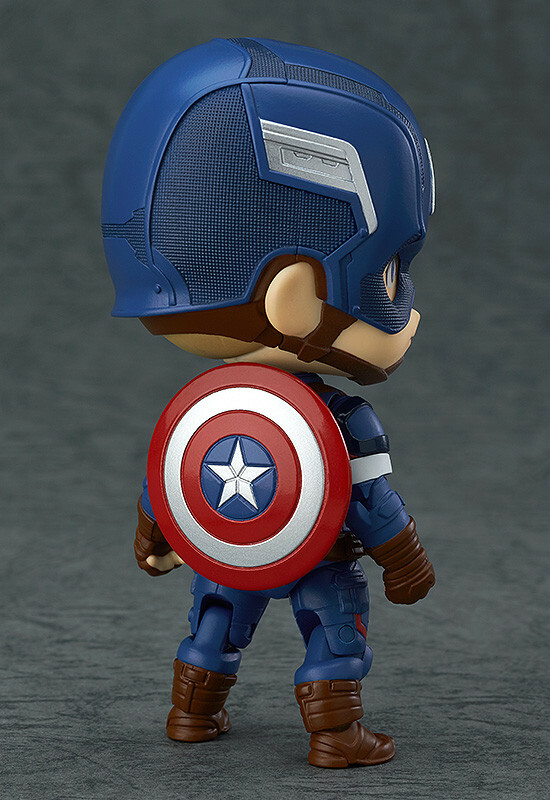 From 'Avengers: Age of Ultron' comes a figure of the leader of the Avengers, Captain America! 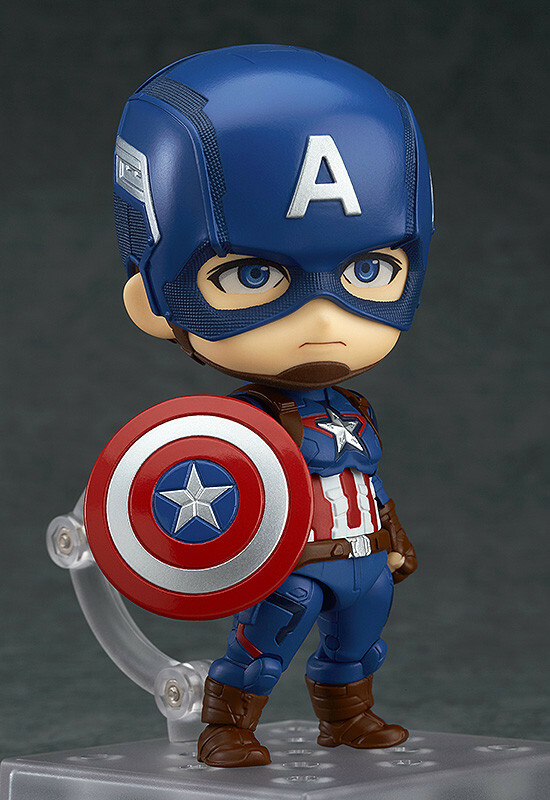 The fully articulated Nendoroid has been carefully sculpted and painted with his unique design and coloring based on the US flag, ensuring he looks impressive no matter what pose you choose to display him in! 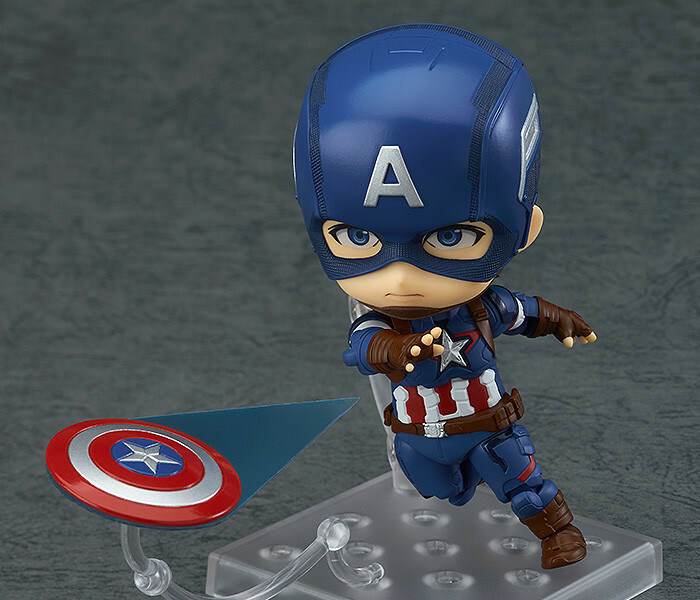 His trademark shield can attach to his left or right arm using a special attachment, allowing you to choose which better suits your pose. The shield can also be placed on his back, which even allows him to balance without the need for a stand! Effect parts to display him throwing the shield are included adding even more play value! 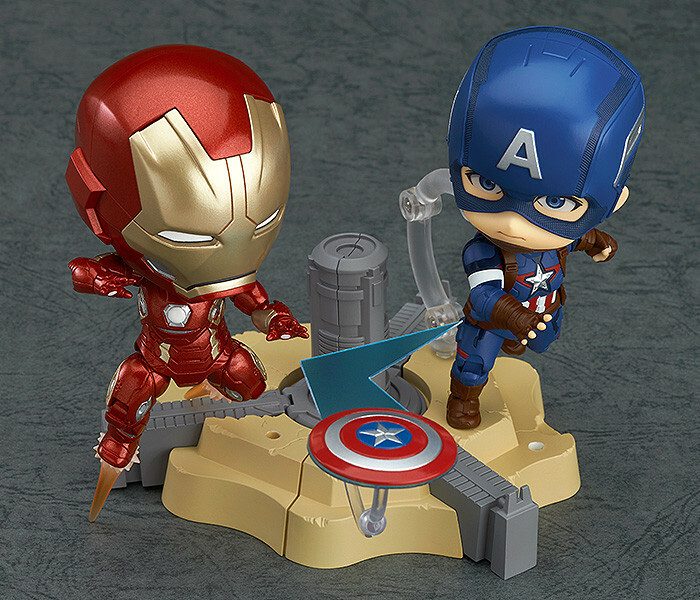 In addition, the included stand is based on the final battle scene from the movie and can be combined with the base included with the previously released 'Nendoroid Iron Man Mark 45: Hero's Edition' in order to complete the full circular base - a large dioramic base that really brings out the atmosphere of the Avengers for fans to enjoy!